Junk season is upon us and as much as we’re striving for a perfect beach bod, it’s hard to resist the temptation of certain greasy treats. That’s why we’ve rounded up the best fried chicken in Hong Kong, guaranteed to lead your diet astray. But no worries, we’ve got Hong Kong’s best walks sorted, so you can burn the cals later! 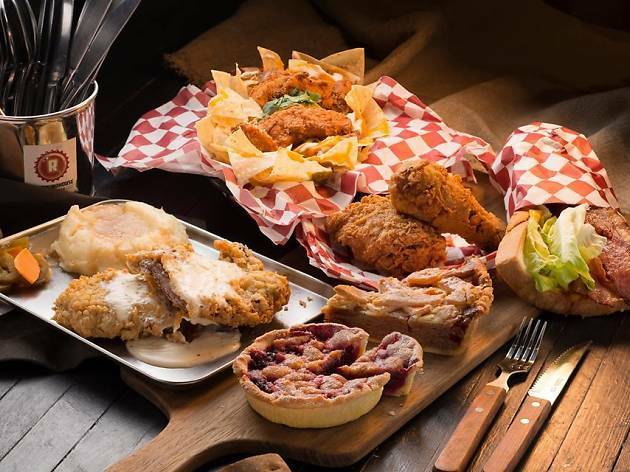 All-American diner Boomshack serves an indulgent, carb crammed fried chicken and waffle combo with three different choices of sauce. There’s the three cheese and ranch sauce, a Sriracha honey glazed sauce or, our favourite, the Mexican white queso option. Lee Theatre Plaza spot Dodam Chicken houses two existing brands from Korea: Hwaggaduk, the world’s first chicken baked in a pizza oven, and Dodam, a straight-up fried chicken brand that’s a cult fave in South Korea. 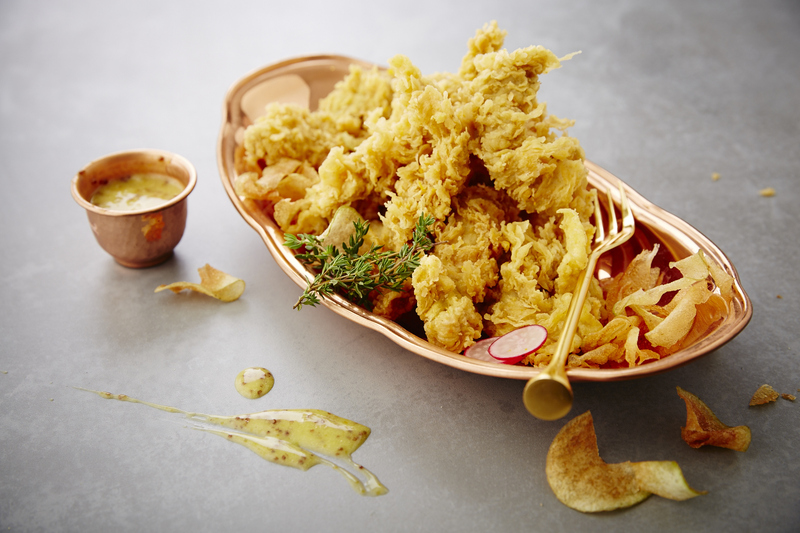 The baked chicken is fab but we can’t resist the deep fried spicy option; it’s perfectly crunchy and not blow-your-face-off hot. Covered in a thin, crunchy, peppery batter, the chicken here bursts with flavour. Not only that, it comes with the legendary waffle for which the diner is well known. 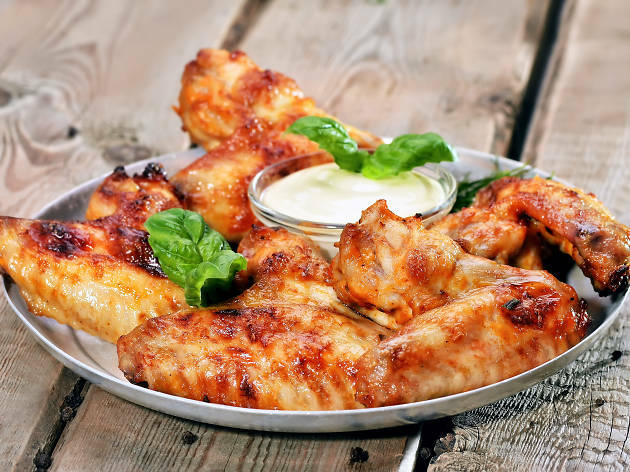 For something a little spicier, select the buffalo chicken wings, flavoured with vinegar-based cayenne pepper hot sauce. 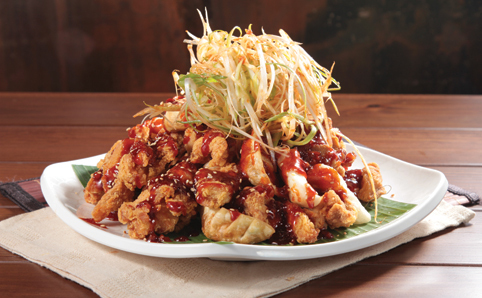 The boneless Korean fried chicken at Jinjuu is coated in a crisp golden batter. Encased within is moist thigh meat with a perfect batter to chicken ratio. Douse it in gochujang (Korean red pepper paste) or thick soy sauce to give it either a spicy or salty kick. 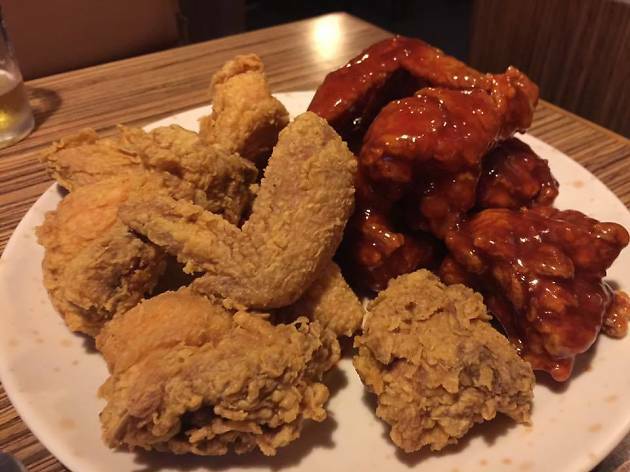 This family-run joint has a menu with an entire page dedicated to Korean fried chicken, serving multiple varieties until 5am daily. We love the original and spicy varieties. It’s hands on here, so forget about cutlery. Up in the leafy stretch of Wan Chai that is Sun Street sits Cajun hideaway Moonshine & The Po Boys. 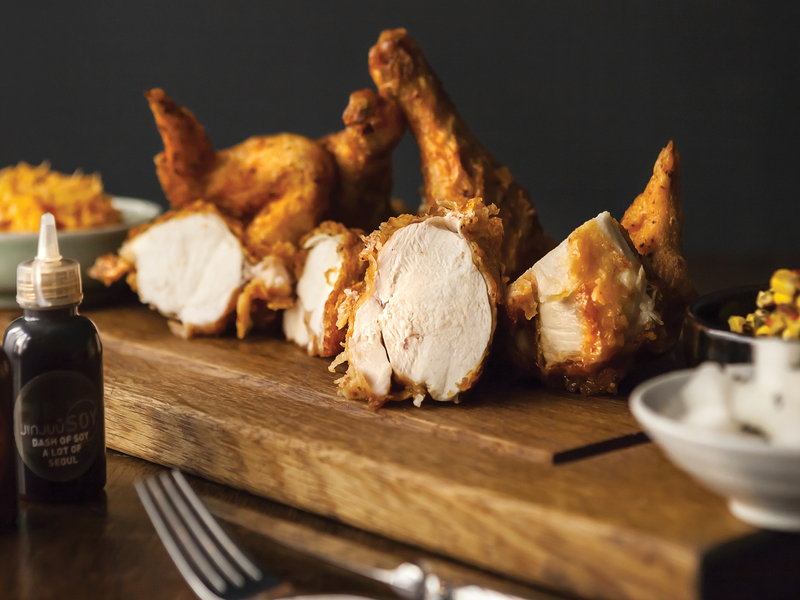 Their Cajun fried chicken is generous – coming in a whole or half chook serving. The crispy, perfectly spiced coating goes just fine with a creamy side of crunchy apple ’slaw. 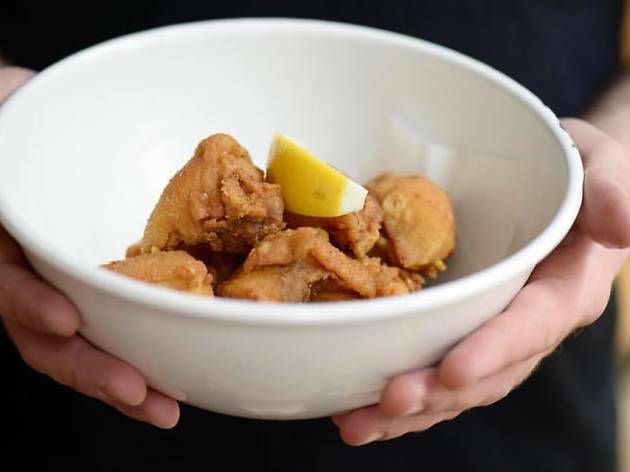 Roundhouse: Chicken and Beer serves up a range of fried chicken dishes almost as extensive as its beer list. Opt for fried chicken nachos, boneless wings, legs and thighs or chicken tenders, there's plenty of golden goodness to choose from. 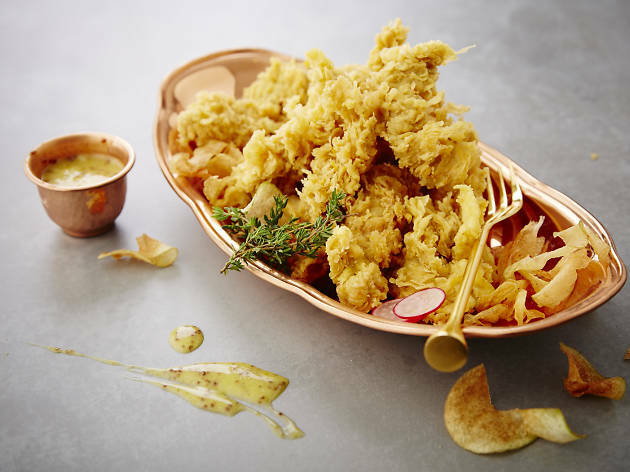 Our favourite, though, are the crunchy chicken tenders – perfect with an IPA. Crispy on the outside, juicy and tender in the middle. What more do you need from this crispy golden Southern fried goodness? Better still, The ’Tav’s weekend brunch means you can eat as much chicken as you like. Stretchy pants a necessity. The Uncle’s half-and-half chicken combo allows you to select two types of fried chicken from the range on offer. 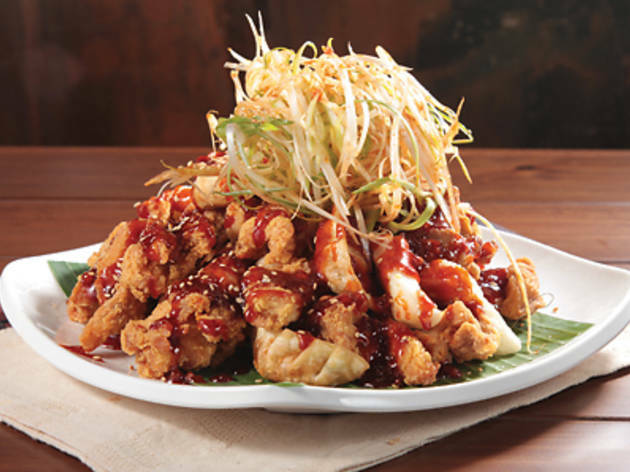 The soy boneless and the ‘padak’ loaded with sweet and spicy ‘padak sauce’, rice cakes and dumplings are firm faves. Generously topped with spring onion, the skin is perfectly crisp and the meat juicy. Wash it all down with soju to the sounds of K-pop. 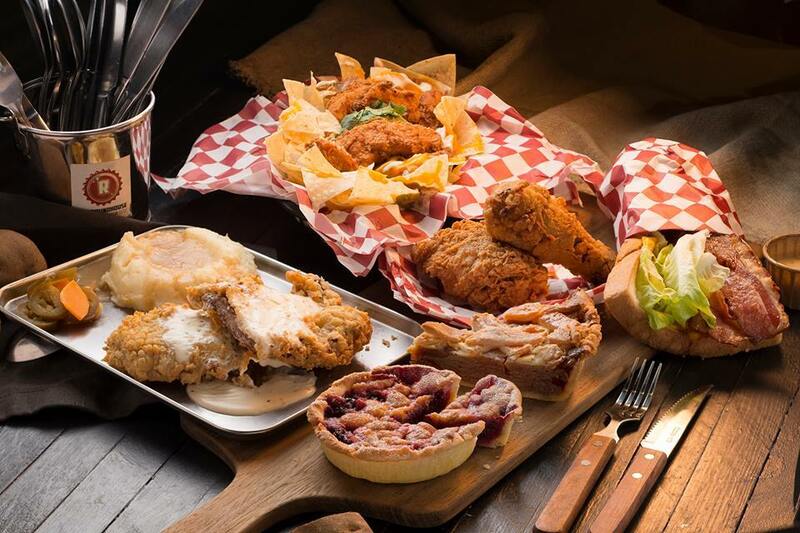 Yardbird is the king of chicken (pretty much every part of it) and fried things, so it’s no wonder their fried chicken is one of Hong Kong’s best. Served with garlic and kewpie mayo and a slice of fresh lemon, squeeze some citrus on it, dip away and enjoy some damn good fried chicken. 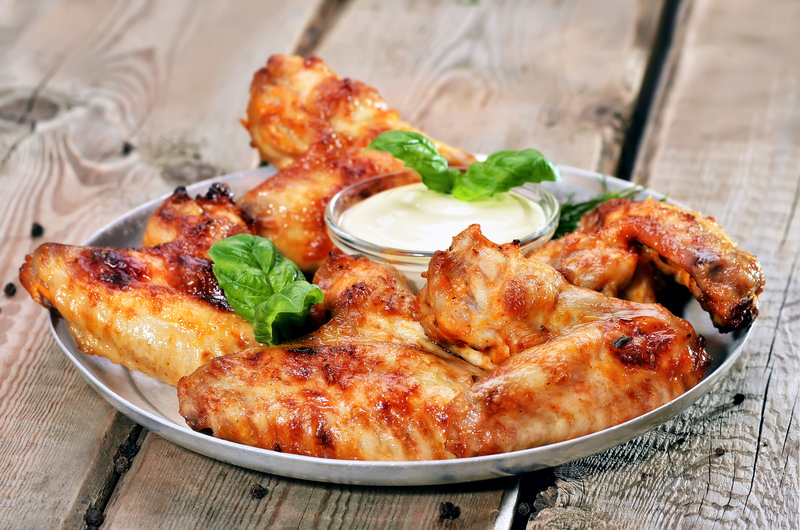 The bird is the word and wings are the best part. We spread ours to scope out the best joints for chicken wings in Hong Kong.